ARTFARM will be presenting the public premiere of its newest touring performance – Isaac Newton’s Little Apple Circus – on Saturday, February 18 at 2 pm. The performance will take place at Oddfellows Playhouse, 128 Washington Street in Middletown. This 50 minute performance introduces the basics of Classical Mechanics through the skills, spectacle and comedy of circus. Sir Isaac Newton is initially appalled that his one man show has been crashed by the 17th century French physicist Emilie du Chatelet, but he begrudgingly shares the stage with her and the two quickly discover that two great minds are better than one. 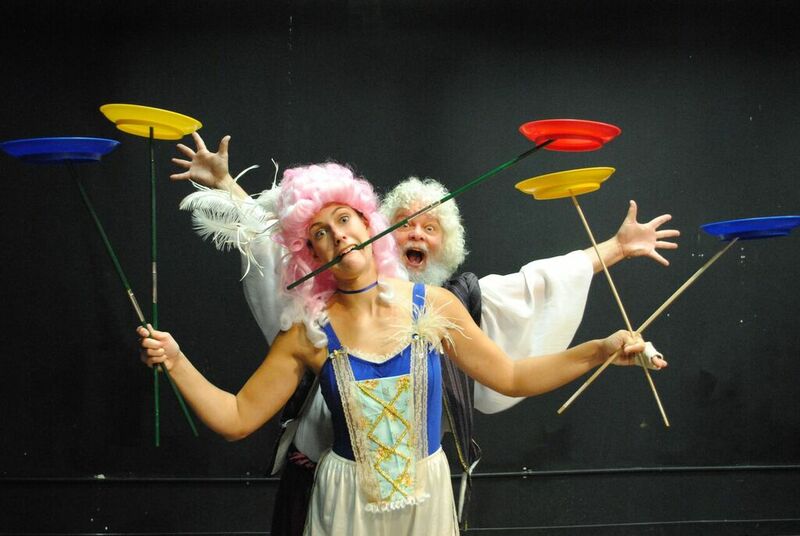 Through acrobatics, comedy, juggling, balancing, plate spinning and lots of audience interaction, Isaac and Emilie share the fundamental physics concepts that are at play in the circus. All ages will be entertained and maybe even educated a little, and young people will be introduced to one of the great, but little known, scientists of all time, Emilie du Chatelet. Isaac Newton’s Little Apple Circus has been touring elementary and middle schools throughout Connecticut for the past year, but this is the first public performance of the show. Tickets are $10 for adults, $5 for kids or $20 per family and can be reserved at www.oddfellows.org. Ticket sales will support circus programming for young people at Oddfellows. Little Apple Circus features ARTFARM Executive Director Dic Wheeler as Newton, and Lead Teaching Artist Allison McDermott as Emilie du Chatelet. 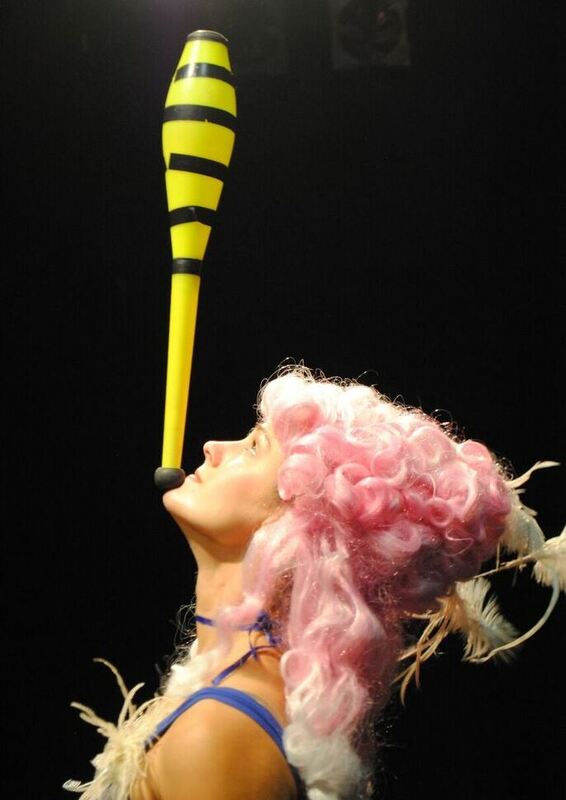 Wheeler and McDermott also perform with ARTFARM’s Circus for a Fragile Planet and lead the youth circus program Circophony, which is a collaboration between ARTFARM and Oddfellows and offers young people ages 12 – 19 year-round circus training and performance opportunities. To book Isaac Newton’s Little Apple Circus into your school, festival or club, or to find out more about ARTFARM programs and performances, contact info@art-farm.org. ARTFARM is a Middletown-based non-profit which cultivates high-quality theater and circus with a commitment to simple living, environmental sustainability and social justice.